When you are in Sofia go to see the local attractions and collect some good memories and a brief overview of Bulgarian history and culture. The city is one of the oldest in Europe. Its name comes from the Greek word “Sofia” which means wisdom. 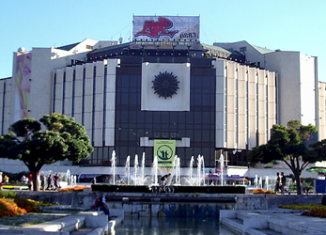 The National Palace of Culture abbreviated in Bulgarian as NDK is the largest multifunctional congress, conference, convention and exhibition center in Southeastern Europe. This enormous landmark was built in 1981 in celebration of the 1300th anniversary of the Bulgarian state. It’s a hexagon shape and a mass of concrete & glass. The congress center has a wide variety of technical equipment at its disposal in order to host different types of events, such as concerts, conferences, exhibitions and shows. It has an area of 123,000 m² on eight floors and three underground levels. The National Palace of Culture has 13 halls and 15,000 m² of exhibition area, a trade center and a car park. One of the symbols not just of Sofia but of Bulgaria itself, this massive, awe-inspiring church was built between 1882 and 1912 in memory of the 200,000 Russian soldiers who died fighting for Bulgaria’s independence during the Russo-Turkish War (1877–78). The “Ivan Vazov” National Theatre is Bulgaria’s biggest theatre, as well as the oldest and most stand out and most imposing theatre in the country. This theatre is one of the major landmarks in Sofia due to its prime location and grandiose architecture. The Council of Ministers building is where the Bulgarian government meets every week and where the Bulgarian prime-minister is working. The prime-minister office’s windows are facing the Presidency which outstands on 100 meters from the Government building. The St. Clement of Ohrid University of Sofia or Sofia University is the oldest higher education institution in Bulgaria, founded on 1 October 1888. The university’s edifice was constructed between 1924 and 1934 with the financial support of the brothers Evlogi Georgiev and Hristo Georgiev, whose sculptures are now featured on its façade, and has an area of 18,624 m² and a total of 324 premises. 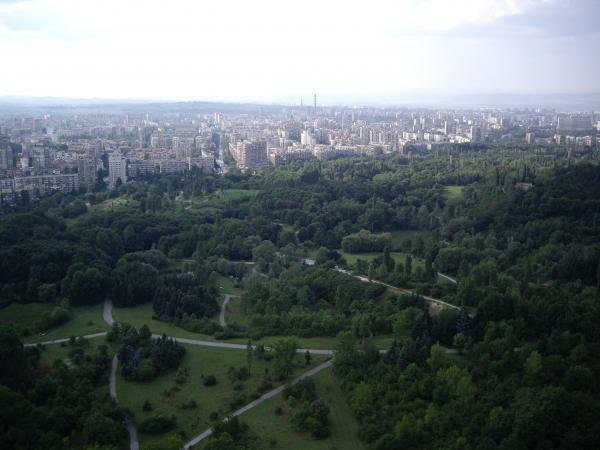 Boris’s Garden was constructed in the late 19th century and it is named after Bulgarian Tsar Boris III. Although Knyaz Boris became Tsar in 1918, there is no evidence of the park’s name ever having officially changed to reflect this fact. Instead the word Knyaz was gradually dropped to become simply Boris’s Garden. After the communist regime took power in 1944, the park was renamed “Freedom Park”, until its fall in 1989, when it reverted to its original name. National Stadium “Vassil Levski” is a all-seater multifunctionalstadium in the heart of Sofia, the capital of Bulgaria. It’s the biggest venue in its class and it hosts all the games of the National Football Team of Bulgaria. The arena is named after Vassil Levski, the most famous bulgarian hero from the Bulgarian Revival. The National Stadium “Vassil Levski” is among the five best venue of its class in Europe. The capacity of the stadium is 43 208 and it offers 2 500 parking lots. There are also 1500 VIP boxes and 4 000 covered seats. It is separated in four sectors, entrances, stands and toilets.The field is made of natural grass and along with the track has a heating and lighting systems. A special computer system runs the heating, ventilating, sound and lighting system. The sound system is JBL and it is unique for a venue of such capacity in Bulgaria. 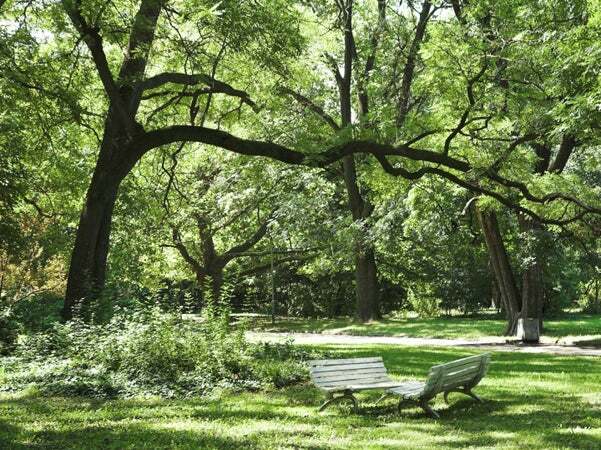 South of the city centre, Yuzhen Park is a vast, wild green sprawl, filled with trees and shady pathways. A sparkling stream bubbles through it, and there is a handful of discreet bars and cafes that are not always easy to find, but it’s a satisfying place to get lost in and explore for yourself.